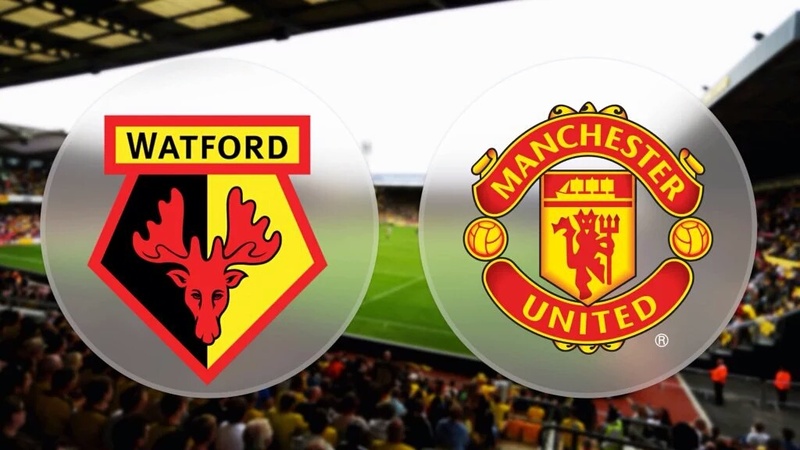 The Premier League is back after the International break and today’s early kick-off is between United and 11th placed Watford. With 16 points to their name, Watford will be a tough opposition. Previously, Watford lost 2-1 to Leicester City and as a whole they have struggled to attain any real form. 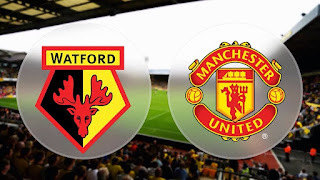 Teams enjoy playing against us and trying to cause an upset so Watford will definitely be looking to come to the Theatre of dreams today and get a win. Their captain Troy Deeney is their talisman and carries their team forward. He will be looking to push on and get some more goals for his team. He scored in their last league game too from the penalty spot so we will need to watch him carefully. His strike partner, Ighalo is playing some good football at the moment too and the two forwards have built up a promising partnership. Former Tottenham man Capoue is in their midfield and offers something extra for them. Their weaknesses are in their defence although they have a good goalkeeper in Gomes. They should be praised for the steady start that they have made back into the league. United are currently fourth in the table with 24 points although the game today will be an interesting one since there are numerous notable absences. Both Wayne Rooney and Anthony Martial will not play today since Rooney is ill and Martial is injured. A start could be on the cards for Lingard or Pereira. Schwensteiger and Schneiderlin are available for us today so I would like to see them both start. Van Gaal in his pre-match conference stated how he expects more from Memphis Depay who has had an average season so far. Memphis has shown sparks and signs of his talent this season but has yet to really impose himself on a match. 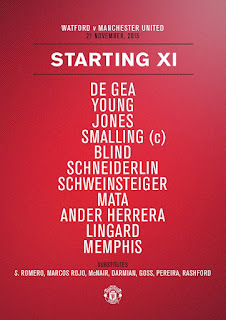 I assume that Memphis will start and Van Gaal will use this game as a test to see if Memphis can prove himself. De Gea should be starting in goal. 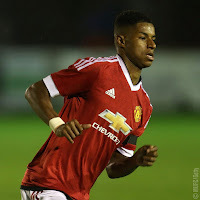 In defence, Darmian, Smalling, Jones and Rojo would make an ideal back for. For our midfield, Schwensteiger and Schneiderlin as defensive midfields. They would be able to control the game from midfield. In a more advanced midfield position, Mata and Herrera offer us creativity and make the team tick. Up front we are quite short in options but I would start Lingard and Memphis together. With Wayne Rooney and Anthony Martial out, what most people were looking for in our line-up was a striker. Also, with many more absentees, we have a weak bench full of young players awaiting to make an appearance for the first team. Sean Goss and Marcus Rashford are on the bench hoping to make their first team debut this afternoon. Lets start from the back, we have solidity in goal with David De Gea. It also looks like our back line will have Ashley Young in right back, and Daley Blind in left back. We will continue with the CB partnership from the international break with Jones and our player of the season so far, Chris Smalling. We will also be looking at another appearance of the Schmidfield combination of Schneiderlin and Schweinsteiger. It looks like Mata will be sitting in front of them with the creativity. 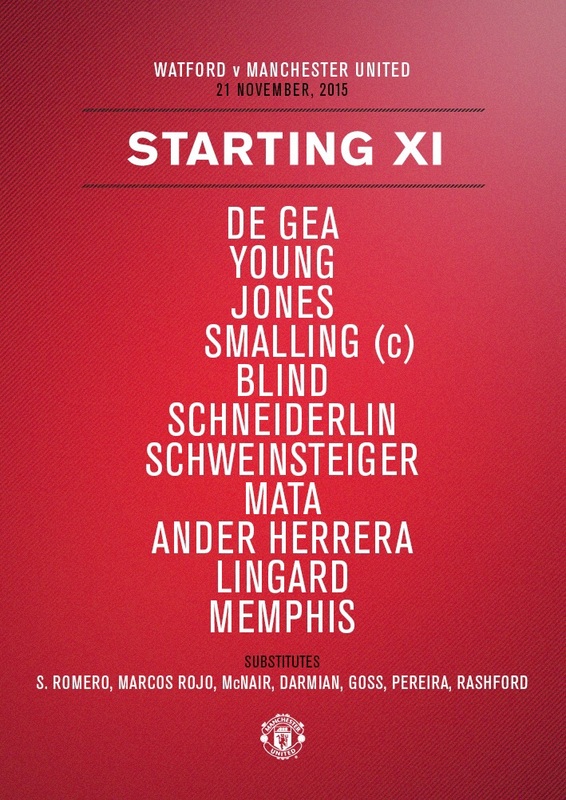 Our front will be interesting to watch, with what looks like Ander Herrera and Lingard providing the width, and Memphis Depay up front, hoping to gain some form which will see him back in the regular starting XI. This front three is more than capable of scoring goals, but with no out-and-out striker, it will be a challenge. 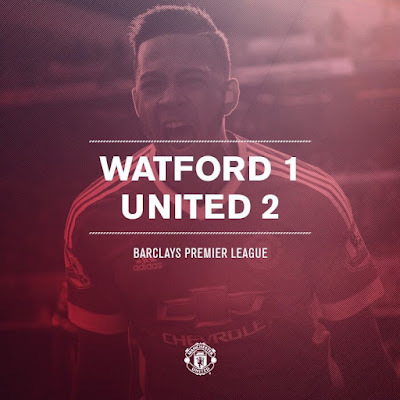 It was a great attacking start from Manchester United, one of the best starts I have seen in a while. We continued to pass the ball around and applied good pressure on Watford when they had pressure, meaning that we won back possession quickly. We finally scored a goal in the first quarter of an hour. A beautiful, inch perfect ball in from Ander Herrera led to an exquisite left footed finish from Memphis into the top right had corner of the net. 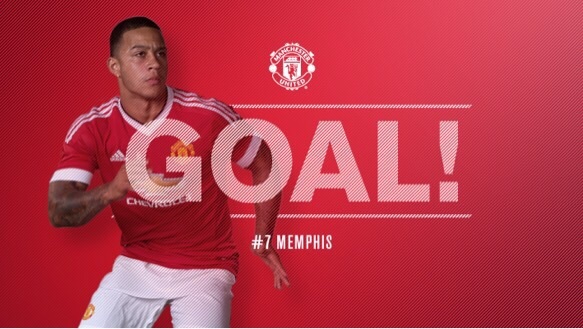 This goal is hugely important as hopefully, it will give Memphis the confidence and self-belief that he needs to improve. 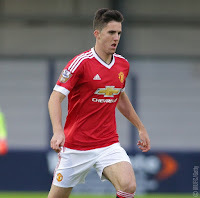 An early substitution was sadly required after Herrera looked to have picked up a hamstring injury. He was replaced by Marcos Rojo and we resorted back to a 3-5-2 formation, which we all hated seeing at the beginning of last season. This injury is not what we needed as our injury list is long enough as it is. Hopefully it will not be too serious and he will be back sooner rather than later. One player that has found it hard to settle into the game is Juan Mata. He's been sloppy in possession and hasn't managed to pick up his good form from earlier in the season. On a positive note, we have been playing some amazing link up play which is always great to see. Our away fans have also been in good voice, as they always are. 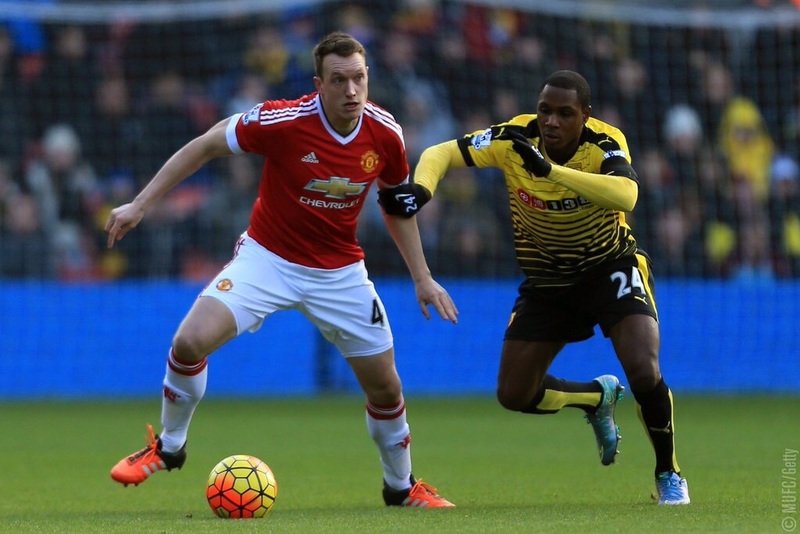 Memphis has started playing to his potential and is making a huge influence on the game. Lets hope we can maintain this momentum going into the second half! What drama! I'll admit, when I saw Watford score in the 88th minute, I was livid. Apart from a few flash chances, we were taking things too easily. We were playing much more direct throughout the match but we were sloppy at times in the midfield. I feel that our young team was a little inexperienced and when they started to attack more we really missed the experience of Carrick. I can't believe I'm saying this but we needed more of the defensive possession type football we've been criticised for today, just to slow things down a little. De Gea was amazing, a brick wall as usual, and his saves were sublime. Lingard and Memphis were impressive, but I don't feel that Pereira had a huge impact, but he may not have had enough time to excel. Basti was great in defensive positions and of course his late goal had me jumping out of my seat. I was happy to see the late resilience that had become synonymous with United teams in the past, but we've been lacking these past two years. Overall, a match too close for comfort, but we'll take the 3 points. What a performance! For a team that didn't start a striker, we had no issues in creating opportunities and scoring goals. We were much better in the first half where we dominated the game and Memphis scored a goal in the 11th minute. However, the second half was poor to say the least. Lingard had a huge chance to double our lead which he failed to make the most of. 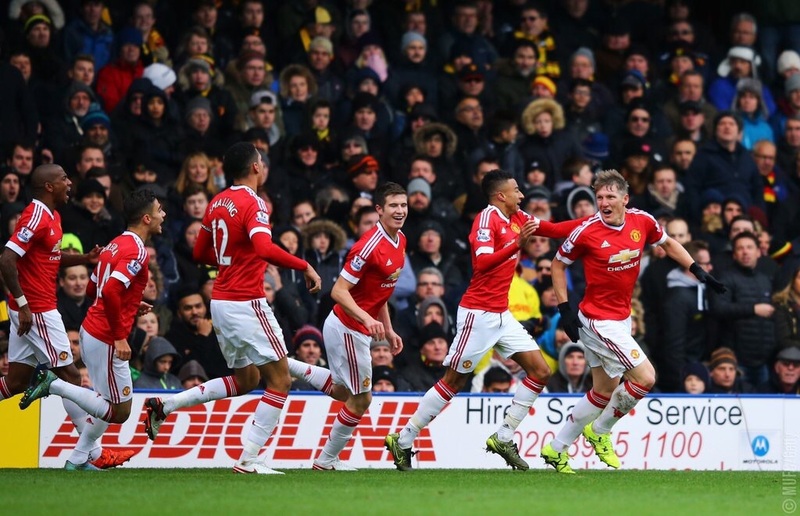 Not long afterwards, Rojo committed a foul in the box, and Deeney converted the penalty to equalise. In a last ditch attempt, Bastian Schweinsteiger (or Deeney's own goal) managed to score at the far post to bring home the three points. 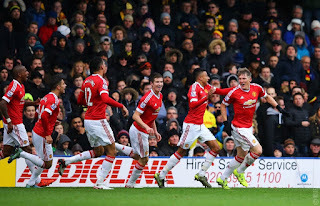 Our stand out performers today must be Memphis Depay, Bastian Schweinsteiger and David De Gea. 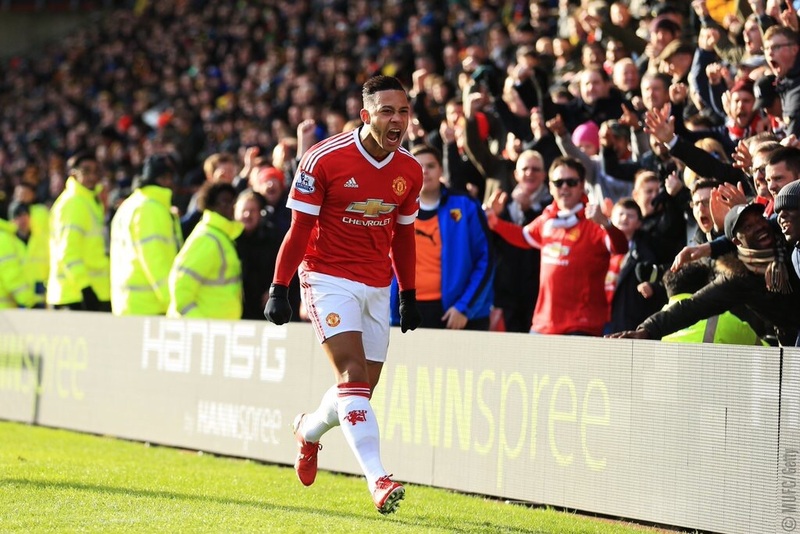 Memphis Depay was a creative spark during the whole game and he is proving his haters wrong. After being heavily criticized in public by Louis Van Gaal, he has showed that he is capable of being a regular starter in this Manchester United squad. Bastian Schweinsteiger was controlling the midfield throughout the game and proved to be a warrior after securing the three points with the winning goal at the end. The passion in his eyes after scoring is admirable. He has a huge love for the club. David De Gea, I don't know where to start with this man. He has been outstanding. He made some world class saves, and continued to show the world why he is one of the greatest goalkeepers in the world, if not the best at the moment. Now onto our next game midweek on Wednesday against PSV in the Champions League, Memphis's old team where we will be hoping to secure our place in the next stage of the Champions League.